In painting terms “landscape” came from “landschap,” which is a Dutch word for a plot of ground. 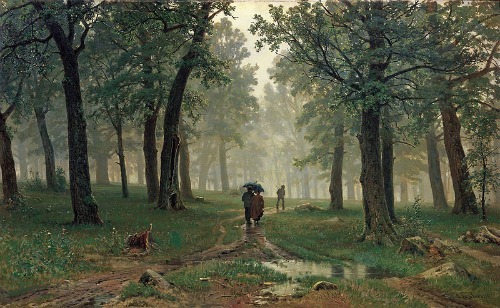 In landscape painting, the main subject is the view or scenery that could include many elements found in nature. It could either be a depiction of an actual place or an idealized or imaginary representation of a place. 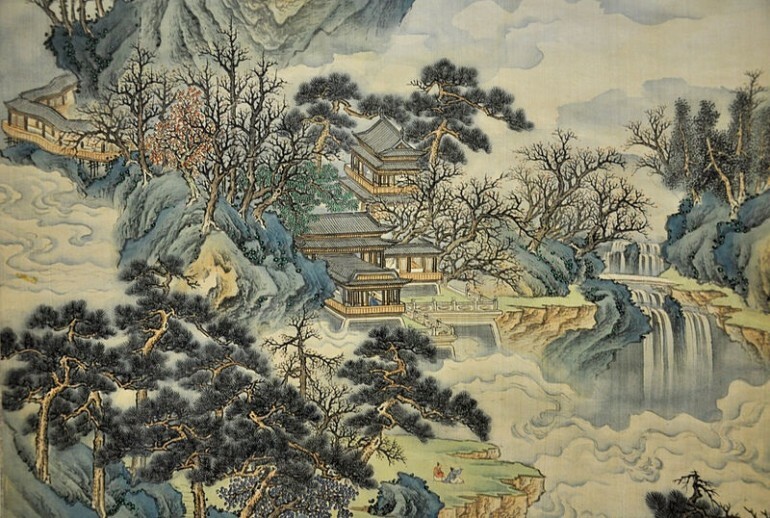 In Chinese art genre, landscape became an established art form in the fourth century CE. However, in Western art, it was only during the Renaissance era (16th century) that landscape painting found its place. In early paintings, since the Roman times, landscapes were included in the painting but they were auxiliary to the main theme. During the Renaissance, it was ranked fourth after history painting, portraits, genre painting and before still life, as established in 1669 by the secretary to the French Academy, Andre Felibien. In the West, landscapes can be found as background elements in many paintings done during the early and mid-16th century, shown in some works like “The Annunciation” (Leonardo da Vinci), “St. Francis in Ecstasy” (Giovanni Bellini), “Birth of Venus” (Sandro Botticelli), “Rest on the Flight into Egypt” (Caravaggio) and “The Tempest” (Giorgone). What was considered by most art historians as the first pure landscape painting was “Landscape with Footbridge,” painted by Albrecht Altdorfer from 1517 to 1520. Landscape started to come to prominence in the 16th century, with the works of Northern Artists such as Albrecht Durer, Albrecht Altdorfer from the Danube School of Landscape art, Joachim Patenier and Dutch artist Pieter Bruegel the Elder. The latter’s work, “Hunters in the Snow” was a fine example of this genre in this time period. Flemish and Dutch schools started to rise in the 17th century, which saw the emergence of several artists such as Rubens, Jacob Van Ruisdael and Aelbert Cuyp, creating landscape art in their own individual styles. Also famous during this period were Claude-Lorrain, Nicolas Poussin and Jan Vermeer. During this period, landscape was seldom used as background element but rather as true landscapes, done in larger scales and with or without the presence of human figures. During the 18th century, artists in France, England and many parts of Europe started to view their natural environment in a different light. In England specifically, aristocratic families started landscape gardening, and the paintings reflected the attitudes of the time, showing calm confidence in the face of prosperity and portraying an enhanced harmony with nature. English landscapes showed order instead of drama, as exemplified in the works of 18th century major landscape artists in Britain such as Thomas Girtin, John Robert Cozens, William Marlowe, Thomas Gainsborough and Richard Wilson. Their contemporaries in France were Jean-Honore Fragonard and Jean-Antoine Watteau among others while in Italy, Giovanni Canaletto and Giovanni Panini were some of the most successful, with their contemplative landscapes and very detailed topographical views. Other Italian landscape artists were Bernardo Bellotto, Francesco Zuccarelli and Francesco Guardi. Landscape painting blossomed during the 19th century, right after the French Revolution. Many of the greatest landscapes hanging in private collections and in museums and galleries around the world were mostly from this era. The period also gave birth to two distinct traditions, French and English, which influenced other painters in North America and the rest of Europe, and brought about the Wanderers movement in Russia and the rise of the Hudson River School in America. The era saw the emergence of the Norwich School, founded by John Sell Cotman and John Crome. They created paintings showing marine, coastal and landscape scenes around Norfolk. They also started painting outdoors. This period gave rise to some of the best landscape artists, such as John Constable and JMW Turner, a British watercolorist. Turner created landscapes that were romantic, historical and revolutionary. His works were always full of drama and movement, focused on atmosphere and suffused with light and color. With the technological advancements today, it is unclear how landscape painting will continue to develop. Will it return to the naturalistic and traditional canvases or will it follow such styles as discursive and abstract art?